We've had a fire 3 weekends already this fall. Football days...movie nights...potato soup...warm cookies...pumpkin spice cappuccino. MmmMmm. 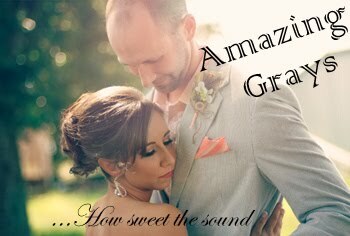 We gave our gas fireplace a try for 2 years, but it was lacking in warmth and authenticity. Nothing can mimic the smells, crackles and fireflies put off by an old-fashioned fire. We were able to remove the gas logs and replace them with real wood, but still keep the gas for a convenient, automatic start. Perfect solution! So with a real fireplace in our future for fall and winter, I put "fireplace tools" on my thrift store shopping list a few months ago. And came home with these for $7. 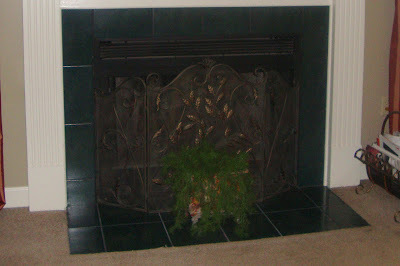 I also had a plan for this fireplace screen, left to us by the previous owner, that was hunter green and gold. 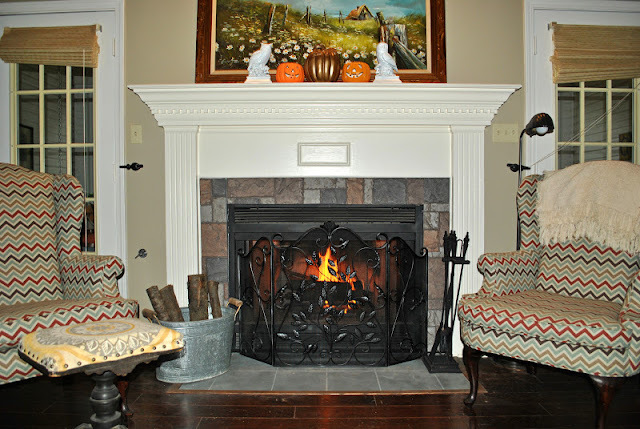 Both the tool set and the fireplace screen took just a few coats of high heat black spray paint to update! 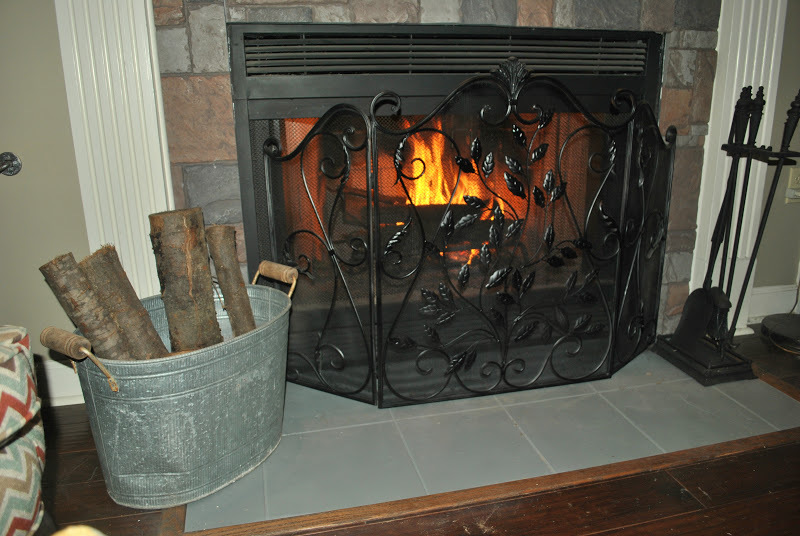 I brought in an old galvanized bucket from the garage to keep our logs in. I love that look! 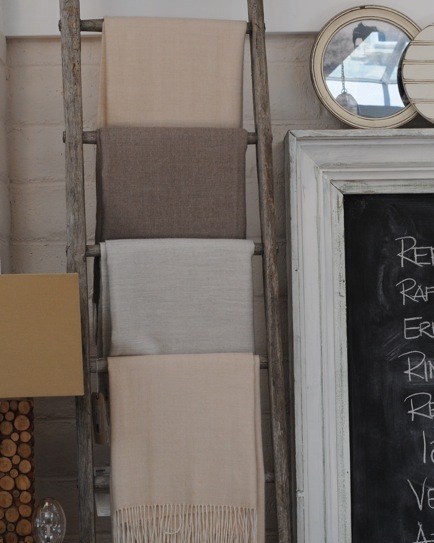 I'd like to add a small ladder for throw blankets soon to prop beside the fireplace too. We had a project-free weekend and spent it watching football and crafting our Halloween costumes around the fireplace! I hope yours was warm and cozy too.